So, after a couple of weeks of solving real life issues, I’m back. The second step that I wanted to do in this blog is to determine its subject area. This is required not for you as readers, but mostly for me as writer. Without borders I run the risk of falling down to describing of everyday life and trolling. I like to troll, of course, especially for political topics, but that is not what I want to do in this blog. 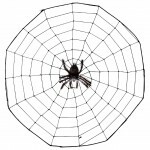 Since I’m a web developer, this blog is about web development. But not web programming only or site making only as you could think. It is about development, building, constructing of information systems in and for the Web. Development includes all stages of the product lifetime: analysis, design, coding/programming, testing, deployment and support. That is the first main subject of this blog. The second main subject comes from my strong desire to migrate from Russia, where I live, to other countries. Current primary goal is migration to Canada as a skilled IT-worker. Secondary, but still wished goal is USA. That is why I am learning and practicing English so much. Anyway, English is not the only problem on the way to those countries. Bureaucracy is. Breaking through immigration law barriers is the second main subject. The third subject, but not least, follows from the second one. Finding a job while being abroad is a very very very hard task to solve. On a highly competitive market of IT specialists I have significant drawback: I have no work permission in neither of noted countries, so I can not be hired as easily as “local” specialists can. But that won’t stop me too. That’s it. In short, this blog is about professional life of yet another web developer with his successes and failures, problems and solutions, wishes, goals and the only way to glory. Maybe you will find nothing new and interesting here. And maybe you will find a piece of gold here – me in person ;-) Who cares? Anyway, you are always welcome to comment and to discuss, to suggest new topics and to criticize existing ones. Just because I am calm and friendly. Hello everyone reading this blog. Most of you will never ever look at this post, since it is the very very first post made, when there were no any readers in this blog. But for the purpose of testing my new standalone blog platform, I write it. And I have to say the WordPress is awesome! Lets finish now, because this is just a test and wouldn’t be too big. A bit later I’ll try to formalize what this blog will be about, and will try to follow these guidelines in future. Hope you will be interested.